For the first time since their original publication, the first three Wheel of Time novels will be published with new artwork on the covers. Tor Books announced today via Tor.com that The Eye of the World, The Great Hunt, and The Dragon Reborn will be re-released in trade paperback form with new cover designs. As Harriet MacDougal and Brandon Sanderson work to complete A Memory of Light, the final volume in the series, the timing is perfect for millions of Wheel of Time fans to go back to the very beginning, when five kids from Emond’s Field had little idea of what lay ahead. Whether you’ve read the series once, a dozen times, lapsed after book eight, or are just coming to it fresh for the first time, these new editions are a perfect jumping off point for a fresh readthrough. The new editions will be released this summer, beginning with The Eye of the World in May, followed by The Great Hunt and The Dragon Reborn in June and July, respectively. Each cover features artwork originally introduced for the eBook editions. Check our eBook Gallery for the complete set of covers. So, what do you think? Will you pick up these fresh copies for your latest re-read? They make great gifts for friends who would appreciate a good story and compelling modern book covers. Wow! that is cool news! I already posted a comment here but somehow it got deleted or didn't properly post so I'll write it again, but, I agree with many of the comments on Tor.com, that this is a bit of a lackluster event considering it's the Year of the Dragon and all. It seems like Tor is putting small thumbnails on paperbacks and asking us to shell out more money, and just for the first 3? There is no word if they are rereleasing all of the books in paperback with the amazing eBook covers. I remember tons of people at Tor.com saying they would shell out their money for an eBook cover art calendar or dustjackets. If we had a calendar then we would be able to see the details of the artwork much better. Why does there have to be such a vast border around the small thumbnail pictures? The art should take up the whole cover. I really wish Irene at Tor would tweet me back, she never does, but I am curious about Tor's decision regarding the DKS cover for AMOL. Now THAT would be some real news. Fans already have to deal with now waiting until perhaps NOVEMBER for the final book when we've waited long enough (20+ years!) just because it makes more marketing sense to Tor? Tor could definitely get us the book, which is completed, by summer. I don't mean to complain, but when I saw this news about new covers, I jumped out of my seat with excitement and then when I saw the covers I was very underwhelmed. Tor should be providing us with some real perks as we approach the end, not books we already have multiple copies of with small thumbnail eBook artwork. Just sayin...oh btw, thanks for the cool newsletter, Dragonmount, and for all off your hard work in all things WOT. have to say, like "black ajah" i am very underwhelmed by these covers. I wish they were hardcover editions available with the new covers. I don't think I would purchase paperbacks to re-read. My apologies, but I must say I too am not overly impressed with these new covers. The hardback limited edition was far prettier. A shame as there is so much superior Wheel of Time art out there. What were they thinking?. 1. DKS has passed away and his in-progress book cover cannot be used. What do we do? People have complained that the covers dont' feature the ENTIRE art. Well, that may be true, but overall those covers represent a very modern look for trade paperbacks. In fact, one of the complaints about the original covers is that they scream "GEEK FANTASY!" rather than "Mainstream epic saga". These new covers are far more likely IMO to be interesting to a casual reader or somebody who has not heard of WoT. I don't know the legal ins-and-outs of publishing, but I would think that the unfinished art for the last book would be very appropriate. Darrell passed away before he could finish the last painting, Robert passed away before finishing the last book. It would be visual representation of how incredibly important the final book is. Let the final book have the final artwork. "The author and the painter passed on before this was published, but it was finished and released to millions of adoring fans." By the way. 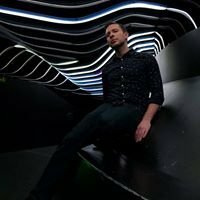 I think that Brandon is doing an incredible job of finishing the book. He really knows his craft. P.S. I greatly respect James Rigney and do not intend ANY disrespect toward him or Darrell. "Kiserai ti Wansho" Glory to the builders. Wow, these covers look awesome. I may have to pick up the new copies just for the sake of having different covers to add to my collection! They'd do better to make them look exactly like the covers in the ebook gallery; i.e. don't put a thick border around the picture. I admit the color scheme and lettering looks pretty attractive, but the cropped pics just look like an afterthought. For me the cover for TEOTW would turn me off on purchasing it, especially if I was a first timer. It looks like a Pirate novel. This news about the new book covers is slightly interesting and I imagine there will be a few people that will buy them. I agree with a prior comment when I say that I hope tor will stick to the artwork and outline, etc. left by DKS for traditions sake for the next book AMOL! Going back to the new book covers I think it would be kind of cool if tor released TWOT books 4-14? in trade papebacks like they did for TWOT books 1-3. Wishing everone the best! Thanks for the update dragonmount! Indeed the new covers might be better suited to new readers, and I prefer them myself, but why only show a small square of them? The border/frame is ridiculous. I really, really hope Tor reconsiders and use more of the art instead of cropping it horribly. 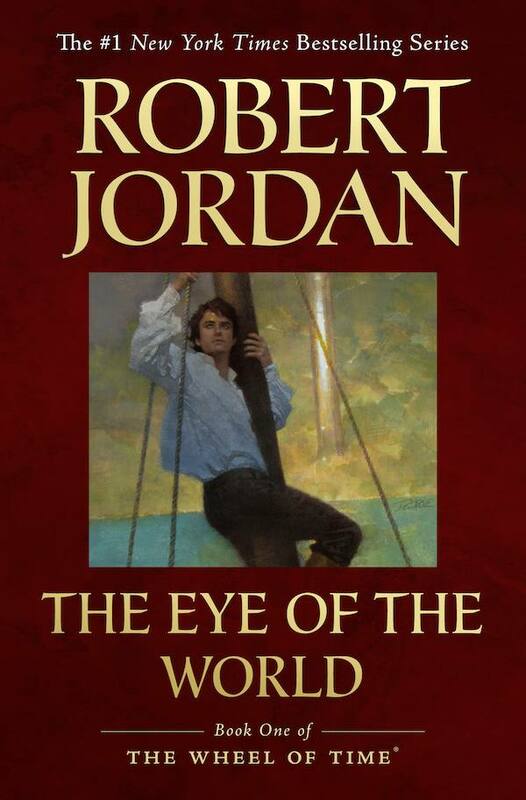 I agree that Eye of the World looks like some old sailing novel, Rand in the rigging is not the best image for TEOTW, however I like The Great Hunt cover, but lots of disappointment. Very underwhelmed and surprised at finding myself posting it, it's disappointing. Well I have been dieing for new wot covers for a long time now. So on that note, yay! But the art for TEOTW is the most under whelming of all the ebook covers, and now that the art is just a thumbnail. If tor wants to release all of the books again that's fine, but they dropped the ball here IMO, for some of the ebook covers this layout will work fine (tDR for example) but it wont work for some of the other one's (LoC). Also why only release the first 3, in the summer, tor should be releasing all of these books in a span of a couple months. Year of the Dragon my but, more like Year of the underwhelming ad campaign. Like many others I am underwhelmed. TEOTW and sailing rigging? Really? So much happens laying the foundations and tone so why a ship in a river? TGH is much better and conveys menace. DR... hmm not much to inspire so no rush to buy paperbacks. Prefer the well thumbed originals. I was saying, overall I am very impressed. As a graphic designer, I love the typography, layout, the way the artwork is used but compliments the cover, and the colors are great too. I think this is great. Maybe the back will show a larger view of the artwork, across the top maybe? Too bad we didn't get a sneak peek at the spine and back cover. I must say, I always thought the eBook art for tEotW was kind of misleading. Looks like a swashbuckling pirate book, like Peter and the Starcatchers... I would have picked a more classic scene... Trollocs bursting thru the door on Winternight? The empty road and black rider... Maybe even a scene in Shadar Logoth with Mordeth, Perrin, Rand and Mat. Or Rand's first time channeling to the rescue when he and Mat were trapped in that room in Four Kings and the lightnings came. I'm not going to buy these since I've already bought the books 3 times already, and am quite content with just the hardback and Kindle versions, but they look a millions times better than the Sweet covers. They look a lot more professional. It is too bad they are only for trade paperbacks, though... I think these would look better on mass market paperbacks. The series is well-established already and there are plenty of places on the internet for people to learn about them, I really don't think that at this point these covers would turn that many people off from starting on the series. My other responses got deleted. Shrug? I'm not sure why comments are being deleted. I don't see anything in the moderation log, so it's got to be a bug n the site. I like them. I was not into fantasy at all....this would have attracted to me to the series. If you go to tor website you will be able to see the full collection and even story around the development and why each cover art was chosen for each book. Personally I love the cover of the Towers of Midnight which depicts Perrin after he has finished forging the power wrought hammer. I said that the cover looked like a pirate adventure; in great detail. I was recommended the Wheel of Time series by a friend, having bought them without even looking at the cover, I can't say I wouldn't have bought them..